In our latest podcast Chairman of the Board Lewis Schiff interviews John McDonald, Birthing of Giants Fellowship graduate and founder of Semihandmade, an Inc 5000 winning company filling a unconventional niche in the custom furniture space. John’s journey to success and the future he’s building for Semihandmade is equally unconventional! John arrived at woodworking only after spending a decade trying to launch a successful career in the film industry. Deciding that it was time to move on, John flirted with joining the LAPD, and was grateful when that path proved the wrong one for him as well. By his early thirties, John found his way into a woodworking career. In that moment a star was born, albeit a star minus one finger. John’s one man shop gravitated from custom furniture to custom cabinetry, where he found a measure of success. It was a chance encounter at a trade show that changed the course of John’s business. When an associate asked John at a trade show if he ever considered building doors for IKEA cabinets, he may not have realized that he was asking a $10 million dollar question. John hadn’t heard the idea before, but he has a nose for opportunity and researched it. It turns out that IKEA allows their customers to order furniture pretty much a la carte. They can skip cabinet doors, for example, and simply buy the frames. 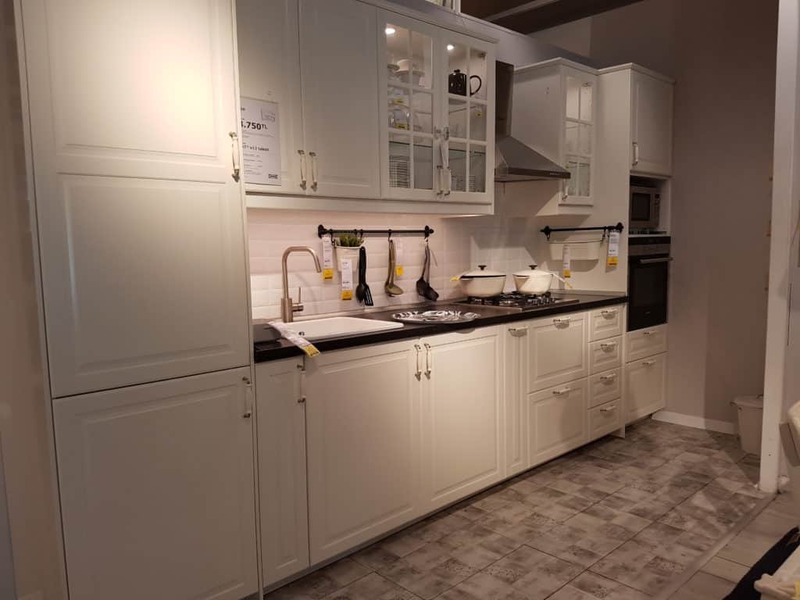 With as big an ecosystem as the IKEA brand creates, there was a huge niche for a smaller company to fill by providing custom doors, expanding customers’ options and even saving them a little money. John stepped into that niche. His custom company, Handmade, became Semihandmade. When John attended a Birthing of Giants Fellowship week in September 2017, Semihandmade had already received its first Inc 5000 honor in 2015 at the enviable rank of 489, and had made the list again for the next two years in a row after that (now three). Semihandmade had reached $10 million in revenues, and John was searching for the right next step to take with his company. John’s innate talent for social networking has lead to a few collaborations with social media DIY celebrities that have resulted in branded lines that are unique to Semihandmade. Semihandmade is currently working to roll out a new arrangement with a high end cabinet maker to produce a line of doors for them in addition to IKEA. With a 367% growth rate they had to outsource some of their production capacity. At this point about 85% of the cabinets that Semihandmade offers are outsourced. This has positioned the company to transition completely away from production and into becoming a lifestyle brand – a prospect that is looking very shiny to John. It’s not a bad position to be in – choosing between several great options. While John is still ruminating on which roadmap to pursue, one problem he’s had is bringing his team of 75 employees on board with his lifestyle brand idea. That’s not at all surprising. We’ve had a lot of great entrepreneurs on this podcast who – when we put them on the spot as we did to John – admit that they didn’t communicate their vision for the company very well to their employees. Darragh Fitzpatrick had to do a “reset” on his one year plan to foster better communication with his team. Bob Eisiminger had to elevate manager accountability in order to reinforce the importance of what his company was building. Toni Jacaruso, well, she actually nailed this when she made some big shifts to her management team. At our programs we teach and practice something we call stakeholder capitalism. It’s essentially the measurement and recognition of the people who have a stake in your company. Employees are a common stakeholder. It’s important to try to see your goals through the eyes of your stakeholders. You can have the vision, the goal, the roadmap, and all the right reasons to move your company in a specific direction, but without clear communication to your workers, you’re going to run into some avoidable roadblocks. Always a good lesson to learn. We’re confident that John’s passion to bring more success to Semihandmade and his excellent relationship building and social networking skills will bring his team fully on board with whatever future he builds for his company, and we’re excited to check in on him along the way. Check out my extended interview with John McDonald on Forbes.com.